A good paintjob and clean chrome used to be enough to get you by. Now it’s all about attention to detail and these three new offerings will help you go above and beyond the norm. From a new grille for your 1958 to a JEGS’ sand blasting cabinet to help you clean up old rusted parts, you’ll want to read up and get familiar because nowadays being normal is abnormal. Overview: Have an old or dilapidated grille on your 1958 Impala, Bel Air, Biscayne, or any of the similar platforms? 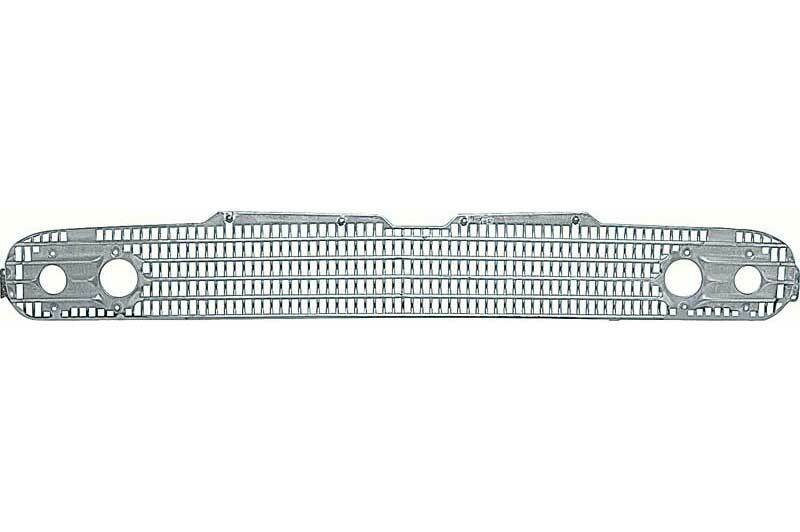 If so, OER has reproduction units of the original stamped aluminum center grille assembly. This authentically reproduced grille is manufactured and designed to exact factory specifications for an original and authentic factory appearance and fit. Manufactured in superb quality-stamped aluminum with correct black-painted accents, this will spare you the headache of dealing with overpriced hoarders and give you more time to enjoy the most significant part of your front end. Overview: Lowriding is all about attention to detail, so ditch the rubber tubing and ugly hose clamps. Instead use precise fittings to allow a cleaner, more dependable connection. 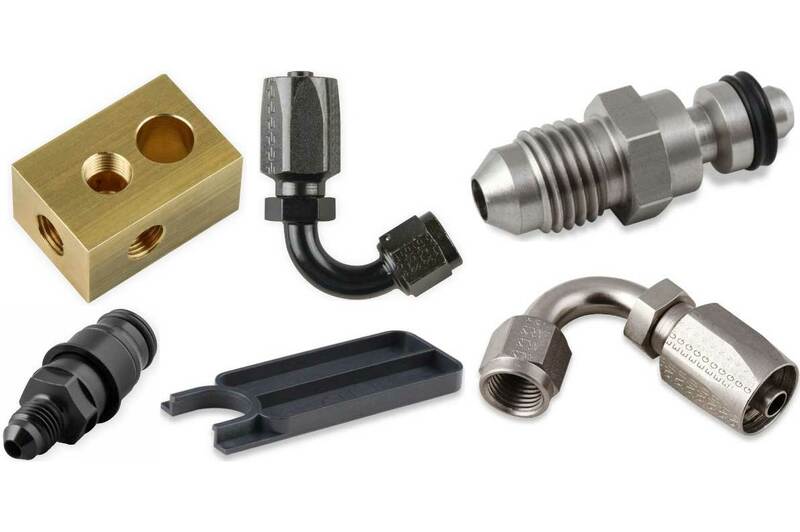 That said, Holley announces the release of an assortment of new products from Earl’s: Clutch Adapter Fittings, Power Steering Hose Ends, and Hardline Brake Tees. Earl’s Clutch Adapter Fittings are available in two versions, both of which are a significant upgrade from the plastic hose in most late-model vehicles’ clutch systems that can be so tough to modify for engine swaps. Made of 304 stainless steel, the first type is fully compatible with most late-model GM, Ford, and Mopar master cylinders, hydraulic clutch release bearings, and slave cylinders. The flimsy OEM plastic hose is replaced by PTFE-lined AN -4 hose (such as Earl’s Speed-Seal/Speed-Flex design) that improves pedal feel for high heat, high pressure, and race applications. The quick-connect clutch adapter fitting fits into the metal tube on the OEM slave cylinder and lets you easily upgrade to -4 PTFE-lined stainless steel hydraulic clutch hose without having to remove the transmission. It comes with its own release tool and is ideal for engine swaps because it allows you to use an aftermarket clutch master cylinder by simply changing the hose length. Earl’s redesigned Power Steering Hose Ends feature a one-piece design that eliminates the need to braze the bent tube to other components. Available in black chromate, steel with nickel plating, and now stainless steel, they’re ideal not only for power steering lines but also for hydraulic and pneumatic lines. They’re a perfect fit for Earl’s power steering hose and now come in a 120-degree configuration that provides extra clearance. Earl’s Hardline Brake Tees are a fast, easy way to add a pressure-activated brake light switch to almost any vehicle. Made of solid brass and designed for use with 3/16-inch hardline, they feature three 3/8-24 inverted-flare female ports and one 1/8-inch NPT port for the brake light switch (PN 100186ERL). Using the 7/16-inch mounting hole, just mount the tee anywhere you’d normally branch off to your front or rear brakes. Overview: Clean and strip parts with JEGS Full Front Load Sandblast Cabinet. 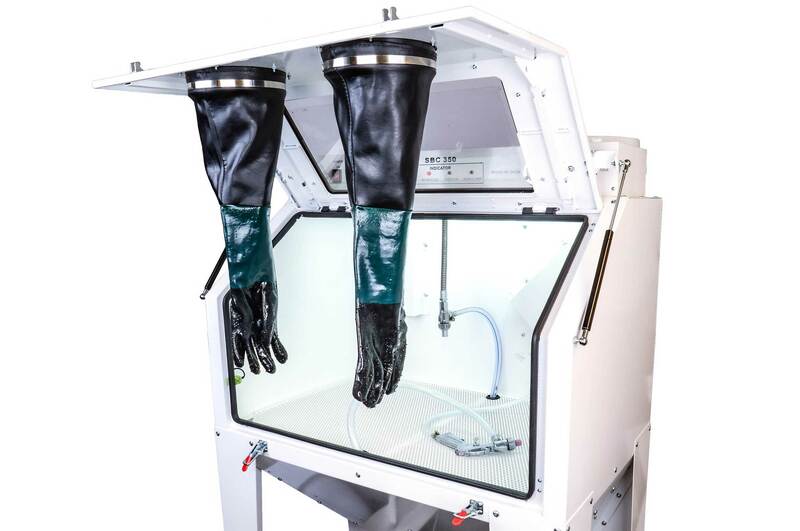 The fully welded unit is complete with a self-contained dust collection system, making it a powerful yet tidy unit. Windows allow for easy visibility, while the easy-to-reach control panel houses all the switches, light indicators, pressure gauge, and air regulator. Hydraulic supports smoothly lift the oversized door opening a massive work area that you can easily maneuver around in and effectively prep large, bulky items. Inside the work area you will find the standard movable blasting gun as well as a fixed blasting nozzle to guarantee all surfaces get hit.